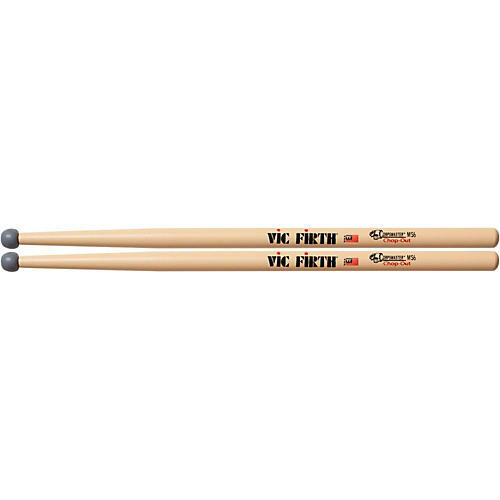 The Vic Firth MS6 Chop Out combines a rubber tip design and a special taper to simulate the authentic feel of the MS5 Marching Snare stick. Great For practice or for creating unique sound color possibilities on the drum. In hickory.